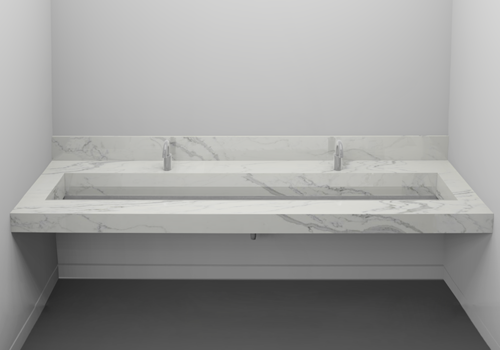 Anti-splash trough sink made with Corian® solid surface. Suitable for all wall mount applications. 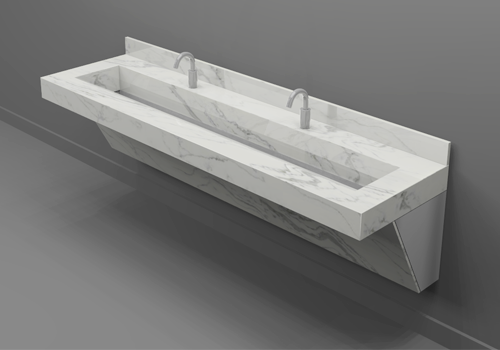 Trough sinks made from Corian® Quartz. Suitable for wall to wall applications. 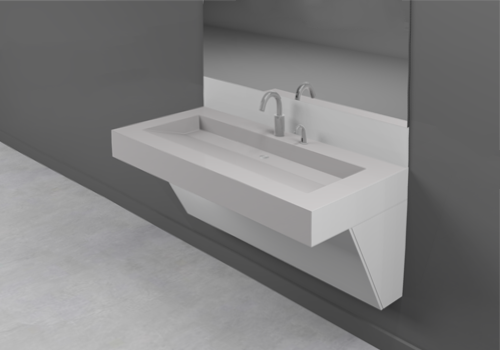 Anti-splash trough sink module made with Corian® solid surface. Suitable for all wall mount applications, with plumbing enclosure. 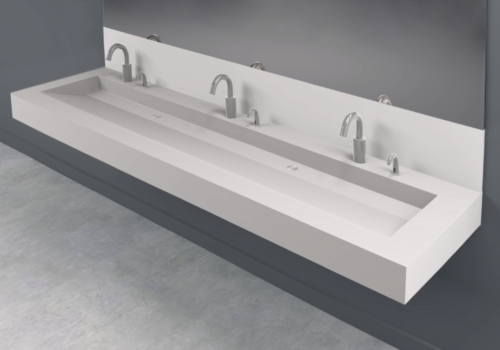 Trough sink modules made with Corian® Quartz. Suitable for freestanding or wall to wall application, with plumbing enclosure.